Found in an abandoned laboratory with mechanical arms, Lady Mechanika was named by the tabloids for the city she was discovered in. Now working as a private detective, Mechanika is out to find her creator. With only two issues out, this series is off to a promising start. 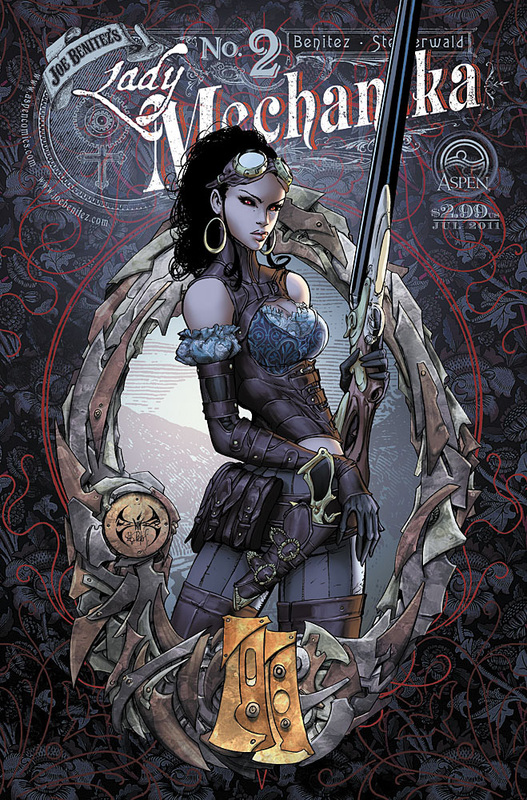 I’m already such a sucker for Steampunk, but with the addition of a circus element in the second issue, Benitez has me hook, line and sinker. The art is absolutely gorgeous although issue two is starting to look like the attack of the speech bubbles. 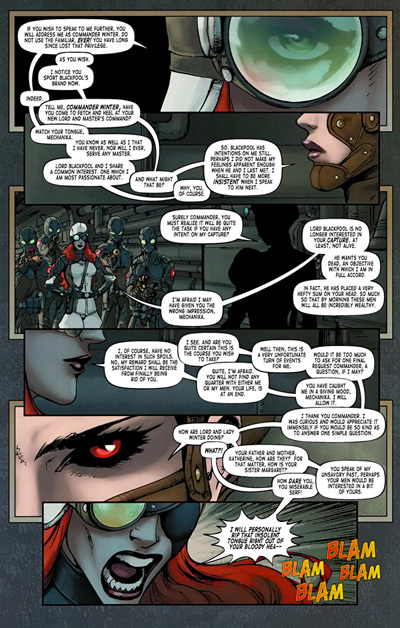 I understand that’s a lot of dialogue to cover, but it completely takes over the panels at times. I hope issue three doesn’t take another 6 months to come out. Waiting for #2 was torture. Now that Freakangels is over (I’m still mourning), I’ve found another webcomic to ease the pain (haha!). With only 8 pages out, all I know so far is that Lady Sabre is on a ship in a sword fight with about half a dozen men. I do have faith that this will turn out to be great, as I absolutely loved Rucka’s work on the Batwoman arc in Detective Comics. 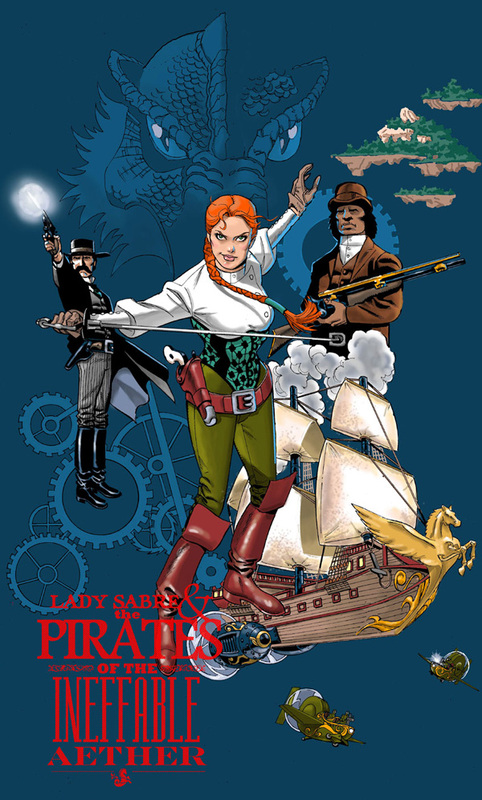 You can read Lady Sabre and the Pirates of the Ineffable Aether over at www.ineffableaether.com. New comics every Monday and Thursday.